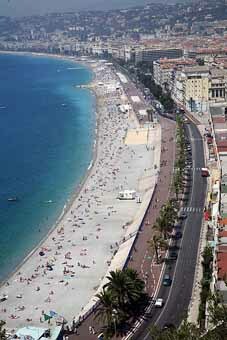 When most of us think of a French Beach we think of the beaches of the French Riviera. Indeed French Riviera beaches are chic, warm and beautiful but did you know your beach holiday in France can be far from the Riviera, even far from the South of France and be just as fabulous? You can find a wonderful French beach on the Atlantic, the English Channel, or the Mediterranean. The Mediterranean beaches are generally warmer, the Atlantic a bit cooler and the Channel cooler still yet stunning and quieter. Take a look at this French Riviera Map for more perspective. On the Mediterranean, the French Riviera is France’s top attraction for beaches and chic resorts like Nice, pictured to the right. French Riviera beaches big traditional resorts of Menton, Monaco, Nice and Cannes and smaller, quieter and chic Cap Ferret, Antibes, and Juan Les Pins nestled in between. The famous Hotel de Paris Monaco, with views of the sea offers you the highest luxury experience. There is lots to see and do when you’re not enjoying a dip in the sea or a lie on the beach. Continuing westward are the smaller resorts of St-Tropez and Cassis. This French beach, French Riviera beach area lies on beautiful coves and bays. Included here are St. Raphael , Hyeres, Toulon (where my cousin recently got married. He’s in the French Navy and this is his home port), and La Ciotat. French beaches west of the Riviera are warm, beautiful and the least crowded Mediterranean beaches. Back to a beach for us, west of the reserve is Stes-Maries-de-la-Mer with the white sandy beaches of the dunes of the Camargue. Besides sunning and swimming activity there is Horse back riding. The area is famous for its horses! 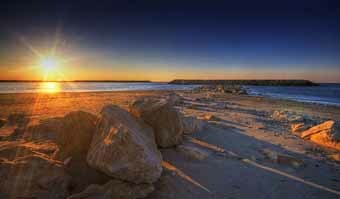 4 mi east is a naturist beach if you like to beach au natural. West of the Rhône are the sandy beaches of Languedoc-Roussillon with modern resorts like la Grande Mote and tourist inspired replicas of fishing villages. Lots of opportunity for all sorts of sporting activities like golf and tennis. France beaches on the Atlantic are long stretches of fine sand and less crowds making this a top choice for vacationers. Biarritz – 3 good France beaches, and the best surfing in Europe. Saint–Jean-de Luz - south of Biarritz and the last major town before you get to Spain – the safest place to swim on this stretch of coast because its natural harbor protects the shoreline. On the Gulf du Moriban – Carnac plage. Brittany France is one of my favorite places to visit because it’s off the tourist track. The Beaches in France on the English Channel are stunning. The Emerald Coast beaches – water is a beautiful emerald green, hence the name. 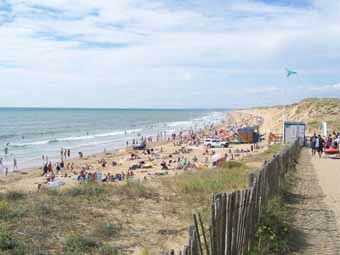 D day beaches – history, sightseeing and swimming vacation beaches. Beaches in Normandy D Day beaches pack a wallop of history and chic vacation beaches further east make this a great holiday location. What? There's a beach in Paris? Yes, they truck in tons of sand every summer. All sort of fun events and beach activities to enjoy. Flying to France? Airports in France near the coast. Where to Stay? Try camping in France by the beach. 5 star French campgrounds or camp under the stars. Want to rent a seaside cottage or villa? 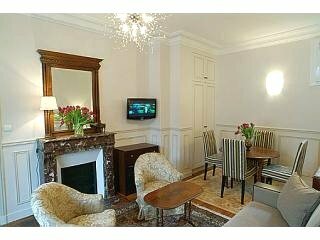 Here is a self catering France guide to get you started. Driving in France gives you the opportunity to explore the coast. A guide for your driving experience.